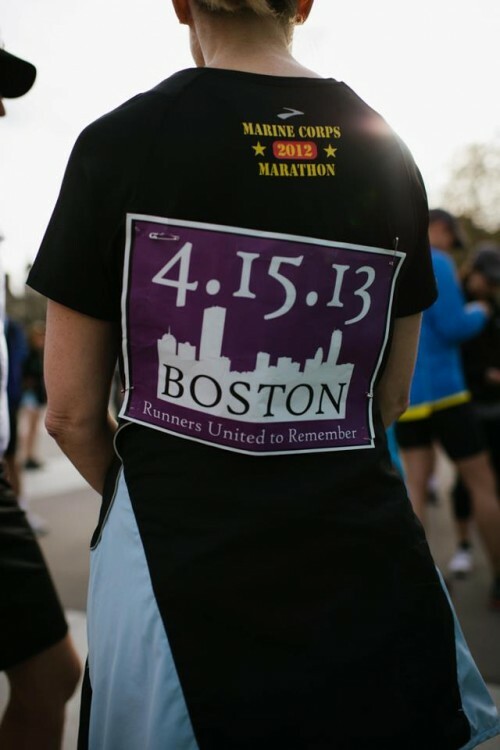 Here at Paris by Mouth, we’ve had Boston on the brain and in our hearts all week long. And we’re not the only ones. 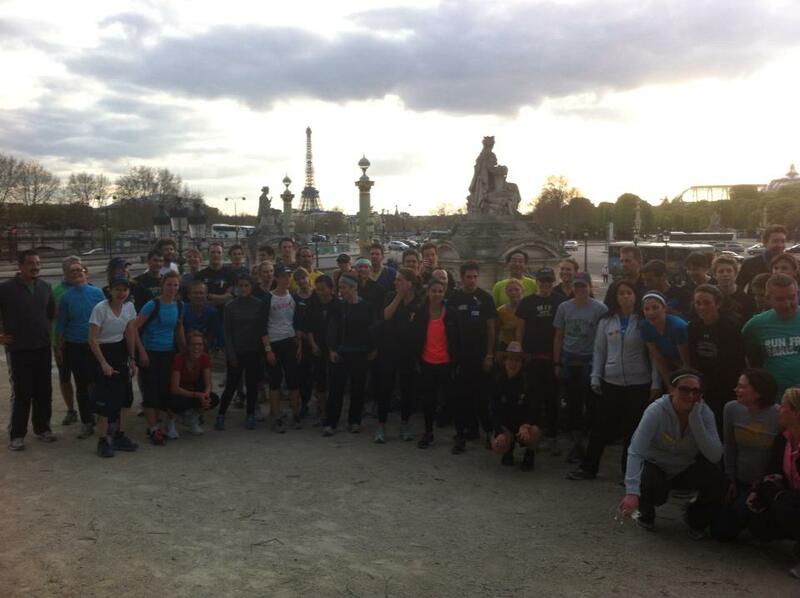 More than 130 Parisians signed up for the #BostonStrongParis run on Monday to show their solidarity for the city of Boston and its cherished marathon. 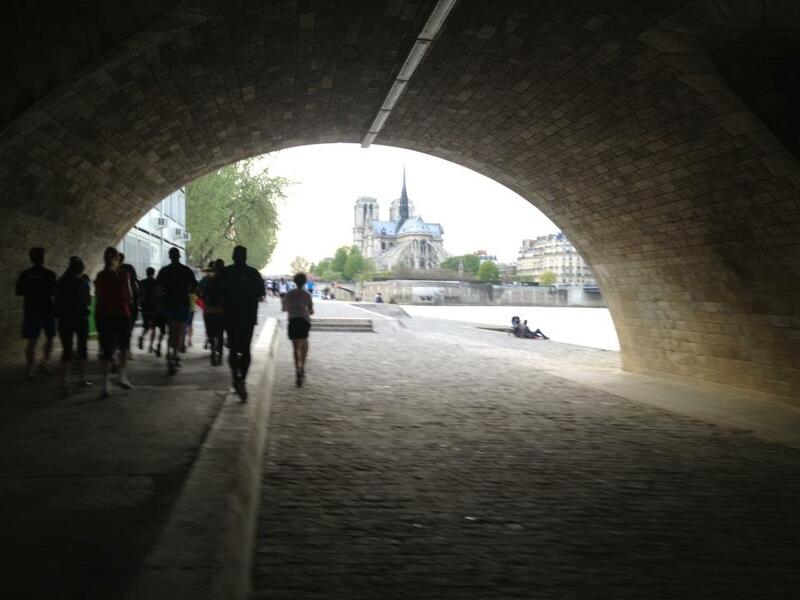 Heather Stimmler-Hall, Camille Malmquist and Phyllis Flick were among those who answered the call of fellow blogger Bryan Pirolli to run 5km from Bastille to Concorde in solidarity with those affected by last week’s tragic events. Similar solidarity runs took place in more than 120 cities around the world on Monday from Prague to El Paso. The runners. Photo by Bryan Pirolli. 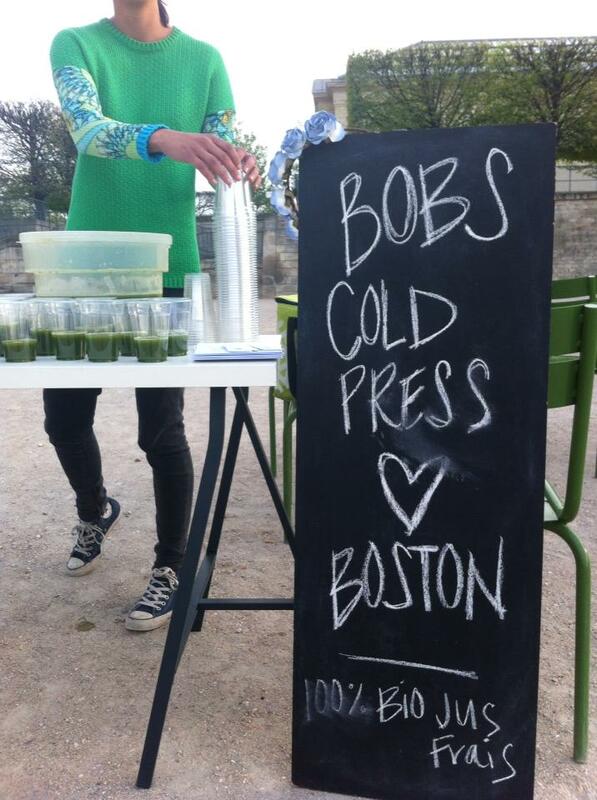 Bob’s Cold Press, the new juice bar in the 11th, was waiting at the finishing line to greet tired and triumphant runners with a glass of fresh green juice. It was a generous gesture appreciated by all, and who knew that spinach could possibly taste so good? Bob’s Cold Press Juice at the Finish Line. Photo by Bryan Pirolli. A light at the end of the tunnel. Photo by Meg Zimbeck.